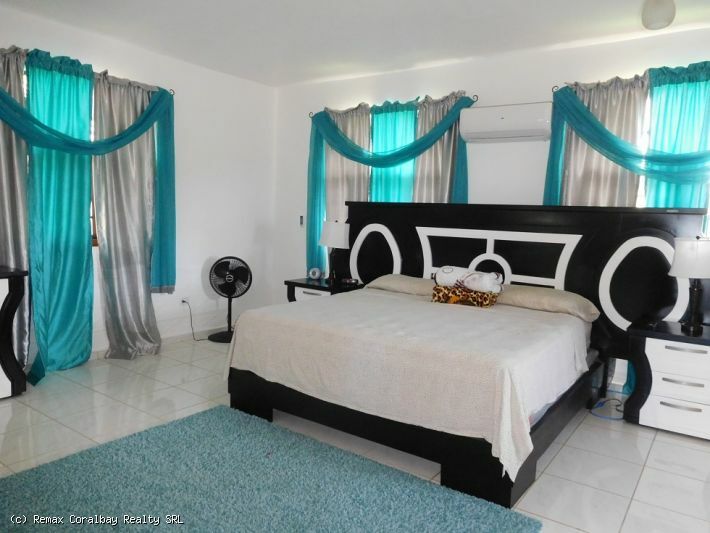 Located within a well known gated community in Sosua, this large Villa has a total of 5 bedrooms and 4 bathrooms … a very unique style with 3 different levels on the ground floor …. on the first level are two bedrooms with one bathroom plus an extra room with one bathroom for maid’s quarter or an extra 6th bedroom … the second level are 2 more bedrooms, one bathroom, balcony overlooking the pool area and full equipped kitchen with special decorative tiles … the third level has a large living room and dining room with office … a huge master bedroom and master bathroom located on the second floor with ocean view and mountain view … the grounds are beautiful and full of grown palm trees and tropical plants … beautiful free form swimming pool … there is a separate small house that serves as laundry and storage … full size garage with pool table, A/C … great for entertainment … the property has its own water well and back-up electricity … very private …. 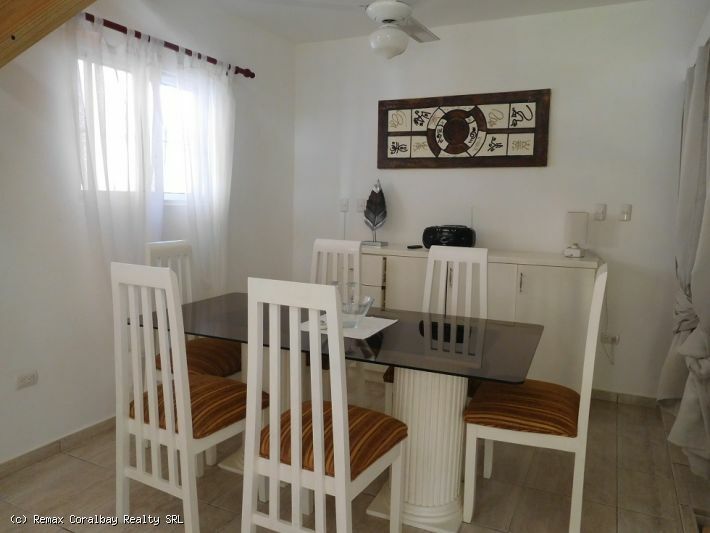 Source: Large Villa with unique floor plan ……..
Turnkey #1 Rated B&B—- Superbly Done & Profitable! Here’s a super successful turnkey business – profitable B&B with everything. 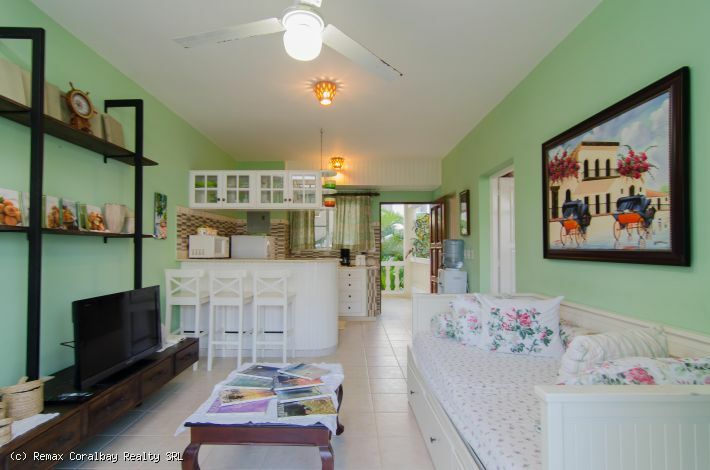 Gated community close to town, short walk to beach as well as amenities such as restaurant, gym, tennis, etc. The property consists of a main house with two bedrooms, then 6 additional bedrooms in two separate casitas around the central pool. 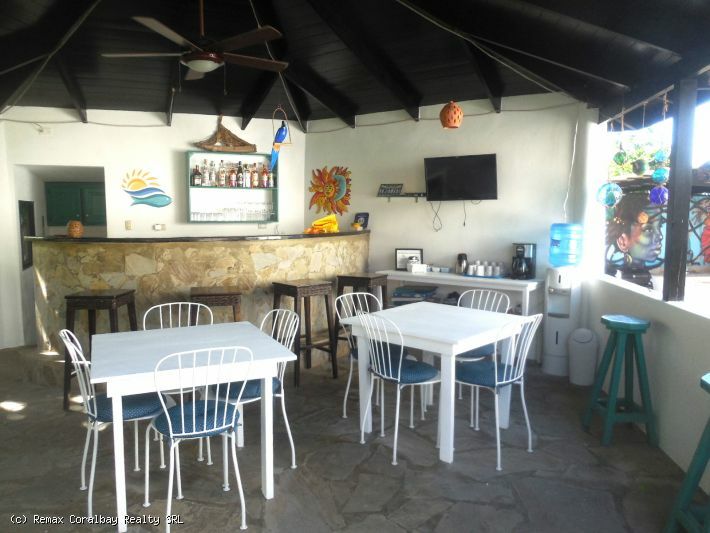 An outdoor palapa entertainment area has a full kitchen, granite counter tops, and a large open area with tables where the excellent staff can serve meals and happy hour. A second outdoor palapa is set up for BBQs with 2 grills, sink, stove, and bar area. The complex has solar panels to assist with electricity costs, a water purification system so you can drink directly from the faucets, air conditioning, beautiful lush grounds. Everything has been done with newplumbing, electric, floors, furnishings, etc.. This complete business waits in a tropical paradise for you to arrive and begin your dream. Source: Turnkey #1 Rated B&B—- Superbly Done & Profitable! This is one of those great little buys that will make someone’s tropical dream come true. Completely furnished 1 bedroom and 1 bath condo with an ocean view. Right next door is a complex with restaurants, tennis, gym, etc. all within a 5 minute walk. The beach is only a short walk so you can lounge on the sand then hit the pool back at your place. This one won’t last. 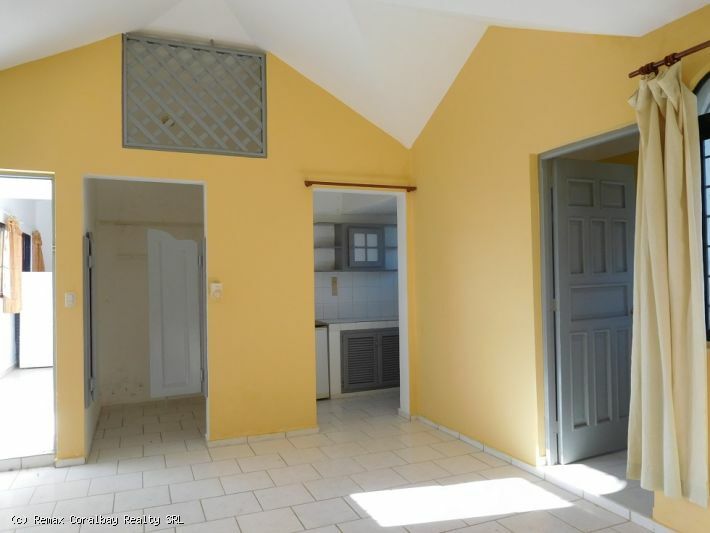 Second Floor Unit! GREAT RENTAL HISTORY. Contact the listing agent for all the details. Source: What a Steal—Oceanfront Condo! A total of 6 bungalows consisting of 9 apartments with one or two floors … each apartment is equipped with a small kitchen, bathroom with shower, balcony or terrace … completely furnished, air condition and fan … Internet and TV in all rooms … the grounds are beautiful with lots of palm trees, banana trees and tropical plants … large swimming pool with waterfall … barbecue area with covered gazebo … parking area and laundry facility … the beach is at 5 minutes by car … the International Airport of Puerto Plata is at 15/20 minutes drive … the complex was built in 2012 and renovated in 2016 … excellent rentals !!! Carefree Living: NEW Oceanfront Villas with 30 Year Financing!!! For years clients have asked for a house on the ocean in a secure community close to town—we finally have what you want, and with excellent 30 year financing. And talk about amenities; check this out… Affordable HOA monthly fee allows FREE access to gym; FREE cable TV and WI-FI; FREE propane, water, garbage pick up, fumigation; also FREE use of water park and children’s playgrounds, beach, infinity pools, tennis courts (covered, lighted), basketball/volleyball court. 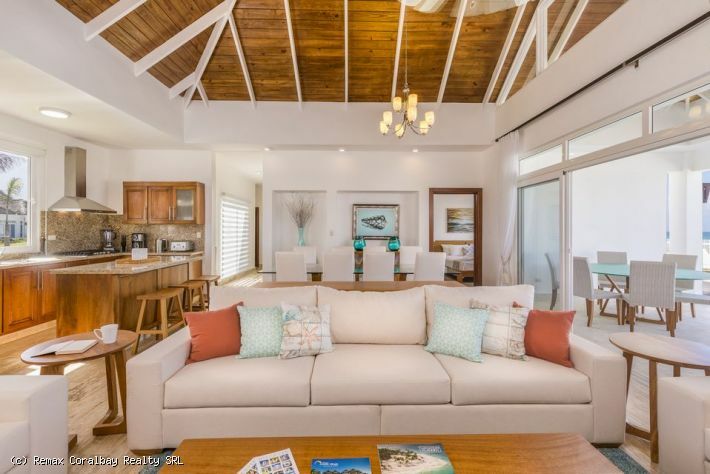 Source: Carefree Living: NEW Oceanfront Villas with 30 Year Financing!! !